The Professional Rugby Board (PRB) has confirmed that all four Welsh regions will continue as they are next season. There has been uncertainty over Welsh rugby amid ongoing restructuring talks between the Welsh Rugby Union and the regions. A proposed merger between the Scarlets and the Ospreys collapsed earlier this month, but that did not bring an end to the turmoil. 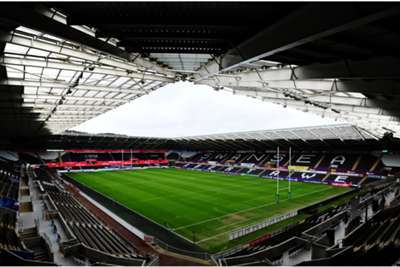 The PRB, which runs the professional game, has ruled out imminent changes by stating that the Cardiff Blues, Dragons, Ospreys and Scarlets will still represent Wales next season. However, it remains to be seen whether all four will remain beyond the 2019-20 campaign. A PRB statement said: "Although the PRB has previously supported the principle for a proposed merger of two teams, it has since been noted that this merger has been deemed 'off the table' by both interested parties. "This means that budgets have subsequently been approved and player contracting can be concluded, with an emphasis on securing Welsh talent. "It is hoped that the emotion generated by the exploration of merger options can now be translated into support for the professional Welsh teams, helping create a sustainable future for the game in Wales. "Top of the PRB's agenda is finding a way to meet current challenges head on and it is vital that the rigour and accountability that has characterised discussions to date remains in place in the coming days, weeks and months. "As all options are explored, the PRB will ramp up consultation with stakeholders, including, but not limited to players, staff, fans, clubs, government, broadcasters and partners."